Facepro provides 100% protection for eyes, mouth and skin during haircuts and stylings – perfect for stylists and customers. 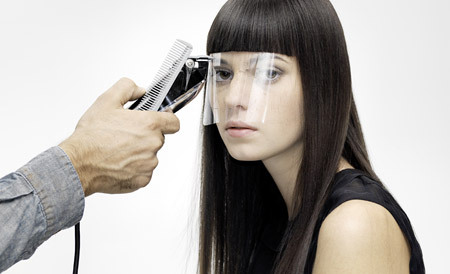 The thin, soft film is an easy-to-use facial shield while cutting, blow-drying or colouring hair. For every styling job – in the salon, at fashion shows or on stage – Facepro offers the perfect protection against uncomfortable hair clippings or hot air from the hairdryer, making work easier for every hairdresser and stylist. International top stylists rely on it. 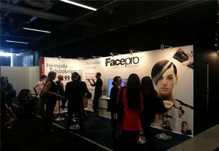 ContraNect, our distributor in Sweden, was present at this fair, introducing Facepro amongst Nordic markets. They have got satisfactory results. Facepro follows growing in all Europe: south, north, east and west. 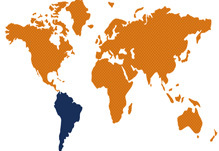 Facepro arrives to South America. First stop: Chile. 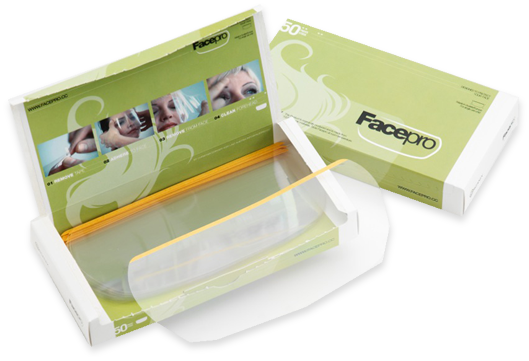 All Beauty, leading hair care distributor, is the distributor of Facepro in this market. We are very glad to announce that we have a distributor for the Swedish market. 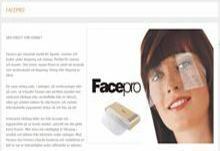 Contranect is the distributor of Facepro in Sweden. Welcome on board and we are sure that working together we will get big successes. 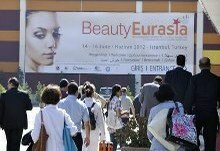 Sanpak our distributor in Turkey arrived to BeautyEurasia with the best innovations of the market and with Facepro. After Salon Look, TOP HAIR, Cosmoprof... Facepro triumphed in Turkey thanks to Sanpak. Thanks to EIDEAL we are developing the business at different countries of Asia. Asian press is now talking about Facepro and saying the mask is a revolutionary tool for hairdressers and stylists. 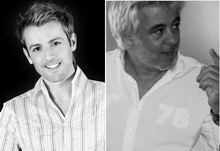 Visit our section Testimonial to discover more about our two new ambassadors: Serge Moreau and José García. Prestigious and international hairdressers who show the utility of Facepro around the world. We are pleased to inform you that we have reached an agreement with the recognised Italian company: NIKA, hair care experts. From now, our product become part of the new keratin treatment of NIKA. 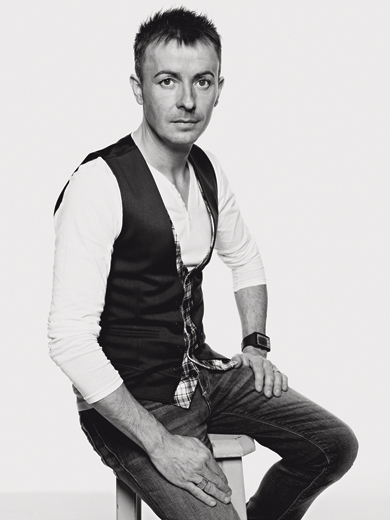 Day-to-day work in the hairdressing salon was the inspiration for Christian Edinger to develop Facepro. Founded over 20 years ago, Edinger h.schnitt in Linz is now one of the trendiest hairdressing salons in Austria. As the “head” of innovation Christian Edinger is in constant pursuant of ideas on how to improve services and promote well-being for his customers. Christian Edinger developed the worldwide product innovation Facepro from a simple and hence such a brilliant idea. Facepro was designed, optimised and tested in professional circles, then perfected together with a designer and ultimately brought into production. Facepro is currently distributed in over 20 countries and has already garnered such renowned international fans as José García (Spain), Serge Moreau (France), Aldo Coppola (Italy) and Bertram K (Austria). 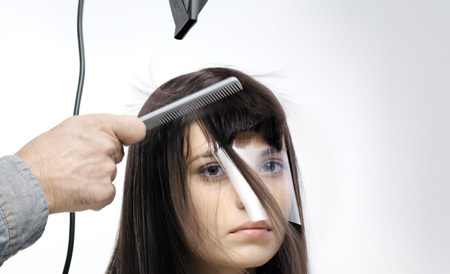 Irritating hair clippings drop from the crown and fringe area onto a customer’s face, particularly in the case of short haircuts. 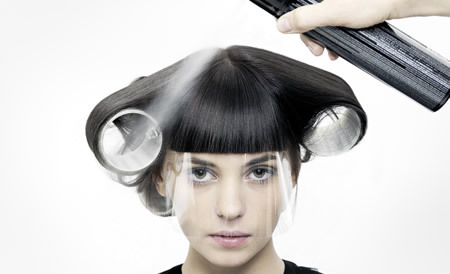 But no less uncomfortable is hairspray and wind from the hairdryer during styling. 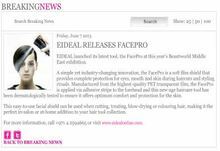 With Facepro the hairdresser can offer customers and models a totally new type of well-being service. 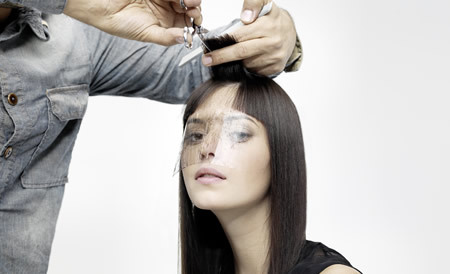 As a rest for hair clippers and scissors, the film makes it easier for a hairdresser to cut a perfect fringe. Eyebrows and lashes are also kept safe. Facepro keeps uncomfortable hair clippings away from the face. Eyes and mouth need not remain closed – the skin stays comfortably clean. Facepro offers comfortable protection against air from the hairdryer. Children particularly love this service. Many stylists cover the customer’s or model’s eyes with one hand as well as possible. The elegant solution to perfectly protect the face from hairspray while keeping both hands free is called Facepro. 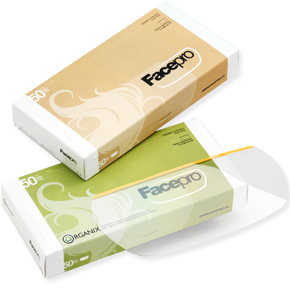 Facepro is a simple yet versatile tool that supports hairdressers and stylists in their work. Angelo Seminara even uses Facepro when colouring. 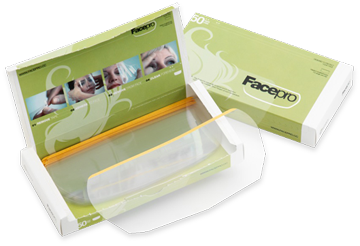 Facepro consists of a soft, transparent film – either as 100% organic biodegradable materials or a PET film. Both the organic/PET film and skin adhesives used are dermatologically and cosmetically tested for optimum skin compatibility. 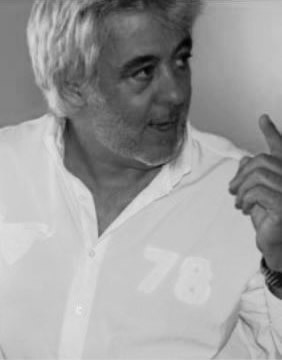 José García is a prestigious, recognized, and Spanish hairdresser. In 2002 he received the prize Accésit of hairdressing. He also has coordinated teams during several years in different TV programs. José is technical trainer and national ambassador of Schwarzkop in Spain. He presents annual collections and he works for fashion shows. Since he was a child has been interested in the beauty world. When he decided to study hairdressing, he knew that this world was his life. Nowadays, José García senses the same passion for his work. Tony&Guy has been always his reference, but Vidal Sasson has been who most inspired him during his professional career. José uses the best products at his hair salon because it is essential to get a perfect job, as he says: "It is the same case for a chef. He wants to make the best dish: great quality, perfect taste, good smell... but if he has not good tools at the kitchen, or if he has not good ingredients, he cannot achieve his goal". Due to these beliefs, José and his team work always with quality products. Facepro appears amongst these quality tools. In his salon is much more than a protector. He and his team not only are using Facepro to cut the fringe. It is also a fundamental tool during the "Strait therapy": an straightening treatment. In addition, José uses Facepro in his seminaries: "During the shows we cut the hair on the stage, and generally we finish when the hair is dry and hair clippings are uncomfortable for the models. Facepro avoids that and is useful to get professional outcomes." According to José's words, the hair salons are suffering one of the highest changes in the last periods, and they are obligated to adapt by a fast way. From his hairdressing in Pamplona, he knows that it is very easy to compete dropping prices. He competes in terms of quality because is the only way to get higher value. For that reason, Facepro has been introduced in the process of cut, dry and color. This is his bet for the future. Serge Moreau, prestigious French hairdresser, has more than 40 years of professional experience in the hairdressing industry. He opened his first business in 1971 and he is coach since 1996 and consultant since 2000. Serge is in love of this industry, and he is working and fighting to get the excellence of this activity. A lot of diplomas and certificates recognizes his value. 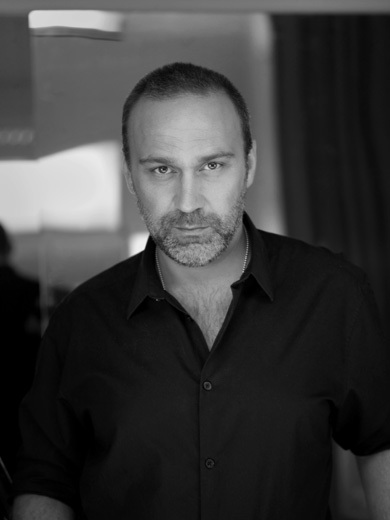 He has been Kerastase agent and L'Óreal international ambassador for more than 18 years. During all this time Serge has imparted courses all over the world: Turkey, Russia, Austria, Switzerland, Australia, Korea... Moreover, he is director of M et les Autres, the prestigious image consultant's office, where he develop his own method to professional development. This acclaimed and famous hairdresser, whose reference has been Alexander de Paris, since he was a child wanted to become hairdresser. For Serge it is very important achieve a high level of confidence with the customer, also it is fundamental establish a fluid communication and to know what the customer really wants, and of course, offer to them only good and useful products. In the search of the customer satisfaction, Moreau has included Facepro within his indispensable tools, both he and his team believe that Facepro is a really brilliant tool, it is easy to use, comfortable and light. For them all the hairdressers of the world should use the protectors. When we asked him about the future of the industry he says "it's very difficult to predict and I think that we have to create the future by ourselves". For him there are three indispensable elements to build and develop a great future for hairdressing industry: passion, experience and desire. He also adds "tools like Facepro are a great advance for the industry and without doubt, it will be indispensable for the hairdressing of the future"
For Bertram K hairstyling is both his vocation and his passion. Bertram K has been working as a hairdresser for 25 years and demonstrating his skills and creativity on international stages in Europe, Asia and Australia. And yet, he also enjoys returning to his workshop in Vienna, the hairdressing salon in Neubaugasse. The haircut for Bertram K is the tool to transport his philosophy, his concept. That applies above all to his shows. One could hear a hairpin drop in the audience, while the hairdresser and born entertainer performs his methods on the stage. 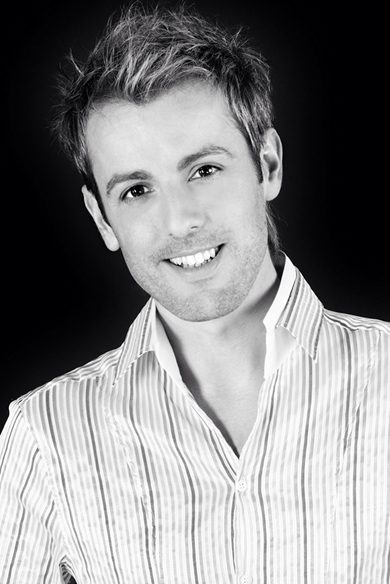 Bertram K has been travelling as a L'Oreal Professional international ambassador since 2004. As one of six top European hairdressers he has also been integrated in the innovative L'Oreal International Paris "H3" research and development programme for three years. Bertram K was enthusiastic about Facepro from the outset. Whether at his shows, at seminars, on international stages or in the Viennese salon, Facepro has become an indispensable tool for him. Manuel Mon says that he likes the product since the first time, the reasons are: its design, its functionality and the possibilities to make a better work. Such as he says: "Thanks to Facepro, you can show a professional and avant-garde image in the salon". His customers love the product. They are surprised of how something so simple is so useful, and they like it for its comfortably. As much for he as for his team, it is an essential tool, such as he says "I couldn't work without Facepro. Once you prove it, it is indispensable..., it is unique". The professionals who participate in the trainings of Manuel say the same, "Facepro is fabulous, not only for its features but also for the wide range of possibilities that it offers". You can purchase Facepro from the following distribution partners. If you are in another country and interested in our product please send us a message via email. Company* Industry* Hairdressing salon Beauty salon Distributor for hair products Distributor for various products Producer of hair products Producer of various products Stylist Styling agency Education, trainings Others Title* Mr. Mrs. First Name Last Name* Address* Postal Code* Town* Country* Austria E-Mail* Phone VAT-No. The form has been sended correctly. We`ll contact with you as soon as posible. 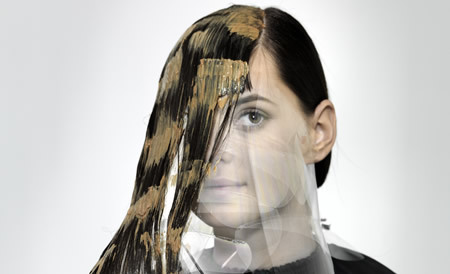 Austrian hairdresser Christian Edinger had a simple yet brilliant idea: A thin protective shield that protects the face from hair clippings.